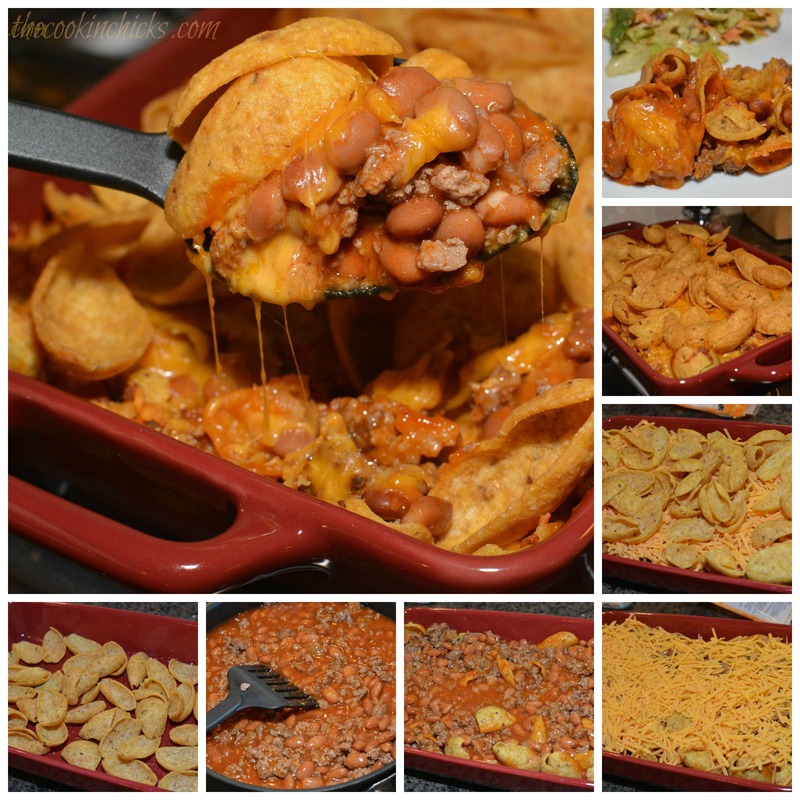 Nothing screams comfort food like a pile chips, meats, and toppings, right?!?!?! 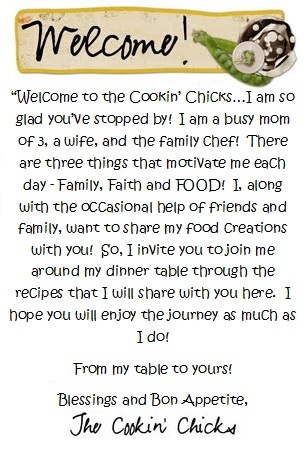 Well, last week, the kids were still off school and I was in the mood for a quick, kid friendly dinner. I rummaged through my pantry and found a bag of Fritos, went through my freezer and found ground turkey (beef works great as well), and some yummy toppings. 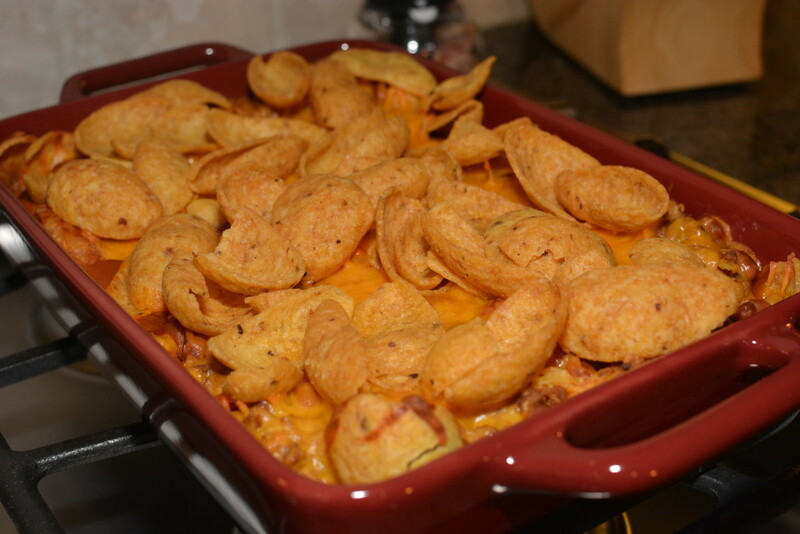 I decided to throw this casserole together since it has been a family favorite for years, but I never got around to blogging it (sorry)! 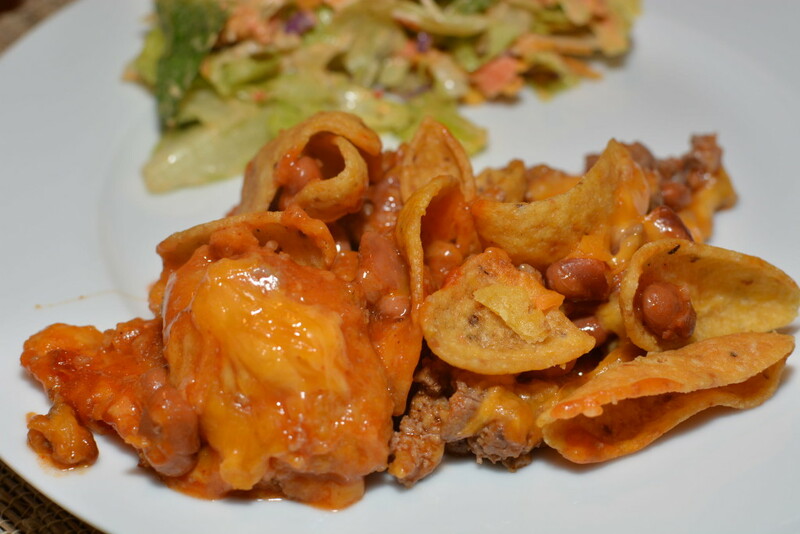 This is very similar to “walking tacos” or “California taco” if you have ever heard of those two dishes before! Spray a 9 x 13 baking pan with cooking spray and set aside. In a skillet over medium heat, cook the turkey/beef until no longer pink. Stir in the onion flakes, beans, and enchilada sauce. Mix until all is combined. Pour half the bag of Fritos into prepared pan. Pour meat mixture on top and spread evenly. 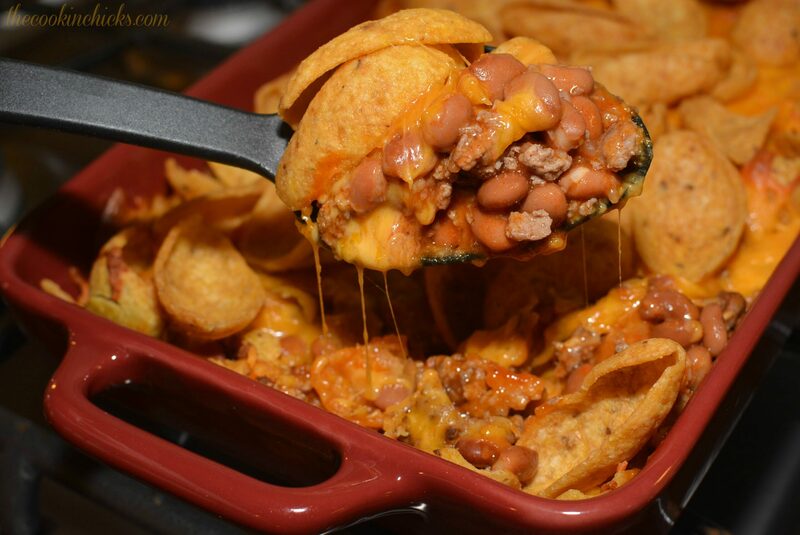 Sprinkle cheese on top of meat, followed by remaining Fritos. Place pan in preheated oven and bake for 30 minutes. Remove from oven and serve immediately!! *Top with sour cream, salsa, and green onions if desired!! 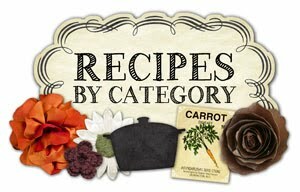 i really appreciate all the blogers out there that take the time to post recipes for those of us who are not great cooks thank you. the printer friendly version is great to have..this one however is not as friendly with the 2 large pictures and the encourging beginnig paragraph. i do like having a pic of the finished product but these are just to large. My pictures are too large or the print friendly button? Sorry about that!